Children’s skin is extremely vulnerable to sunlight, it reddens quickly, which is why it is important to protect it from sunlight using sunscreens that are specifically designed to meet their needs. After sun exposure, it is vital to restore proper levels of moisture while soothing and pampering the skin after exposure to the sun, wind, salt water or chlorinated pool water. 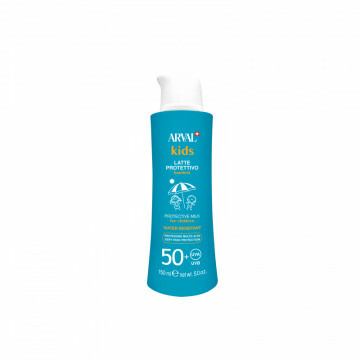 To protect children from the sun, Arval has developed Arval Kids, a highly effective system designed to protect the delicate, sensitive skin of children. The range includes specific products that help protect children's skin from sun radiation and restore proper moisture during and after exposure to the sun. Each formula is enriched with selected, delicate ingredients with protective, soothing and moisturising properties.